The Irish District Energy Association and CEWEP Ireland explore the potential for district heating in Ireland’s energy mix. District heating (DH) systems deliver heat for both space heating and water heating needs to buildings through a network of insulated underground pipelines. In much the same manner as electricity is delivered to homes and businesses, energy in the form of heat is produced centrally in large plants and delivered through the DH network. Crucially, DH networks are completely fuel agnostic, meaning many multiple heat sources can feed into the DH grid. This is good news for driving competitive heating costs, for security of supply, and importantly for low carbon heat. Heating and cooling accounts for around half of the EU’s energy consumption, 84 per cent of which is generated from fossil fuels. In Europe there is a positive correlation between countries with high levels of DH and high levels of renewable heat; it is much easier to integrate renewables into DH schemes than implementing individual building level solutions. While DH and cooling systems are common in cities and towns across Europe, Ireland’s heating sector did not follow the same path. Like other areas in north-west Europe, such as the UK, Belgium, the Netherlands, and northern France, DH hasn’t grow to anywhere near the same levels as found in most of the rest of Europe. For example, in north, east and central Europe, DH supplies up to 50 per cent of the total heat demand, whereas in north-west Europe, the levels of DH varies between less than 1 per cent to 7 per cent. DH currently provides less than 1 per cent of Ireland’s heat demand, levels which are similar only to much warmer European countries such Greece, Malta and Cyprus. As any Irish person will know, Ireland unfortunately does not enjoy the same warm weather as these Mediterranean countries, and around 80 per cent of average Irish household energy use is used for heating. During the oil crisis in the 1970s, Denmark changed their energy policies in order to increase resilience to such market instabilities, and they singled out DH as one of the key ways for them to achieve this. These policies have led to a high level of decentralised CHP plants feeding DH networks, and now over 60 per cent of all residential and commercial floor area is connected to DH schemes. Also, due to security of supply fears, the Netherlands has introduced robust climate change policies including a huge reduction in the use of gas for heating. This has driven the development of the city of Amsterdam’s DH network, which was only initiated in the mid 1990s. Due to measures such as exclusivity zones and mandates to connect to DH networks, it is now the fastest growing heat network in Europe with over 177,000 customers. While both Denmark and the Netherlands have significant fossil fuel industries and reserves and well developed gas networks, they recognised the benefits of actively reducing their dependence on these resources, in spite of rigorous opposition. Ireland, on the other hand, has no oil resources, insignificant and fast depleting gas resources, and sits at the edge of Europe on the very end of the gas line. Yet, in spite of all this, there is no political urgency to increase the use of existing indigenous energy resources and reduce Ireland’s reliance on fossil fuel imports. When producing electricity, around 60 per cent of energy is lost during transformation, and the majority of that waste is in the form of heat. Those white clouds puffing out of the chimney stacks of power stations and industry, commonly called ‘smoke’, it is in fact mostly steam. If the same principles are followed as in the waste reduction cycle, recoverable heat use should be a priority. Only where this is not possible should any other valuable and finite resources be considered. Recoverable or ‘waste’ heat is an unavoidable by-product of thermal power production and many large industries. Instead of utilising this heat, it is dumped into sea, rivers and through chimney stacks; literally disappearing into thin air. This source of heat is currently not recognised in any Irish energy policy as a viable source of heat, even though it is indigenous, abundantly available and zero carbon. Nearly every other European country recognises its role as a proven way to lower carbon emissions. 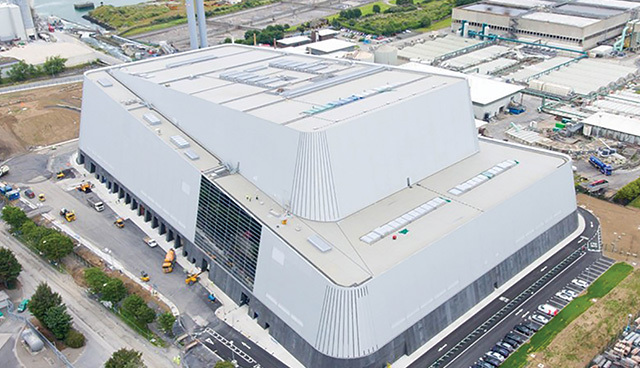 The production of this waste heat needs to be future-proofed to enable it to be used in DH schemes, for example the Dublin Waste to Energy plant in Poolbeg and Indaver’s proposed waste-to-energy facility in Cork. The facilities, existing and proposed, will have full flexibility to use the energy generated in the boiler as electricity or heat. Poolbeg generates enough electricity for up to 80,000 homes and has potential heating for 50,000 additional homes. The Indaver site in Ringaskiddy is within 2km of a number of pharmaceutical and other manufacturing facilities with constant heat process needs. Dublin Waste to Energy in Poolbeg. 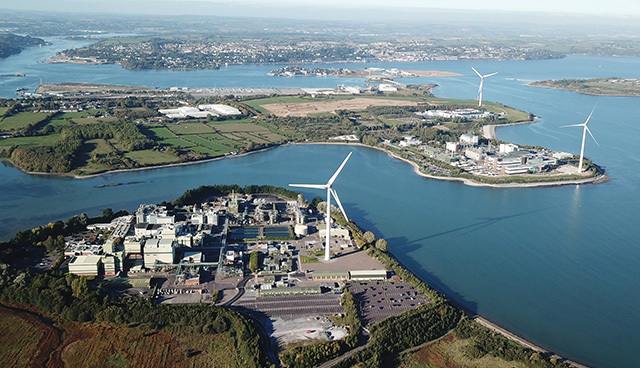 The Irish District Energy Association (IrDEA), CEWEP Ireland and its members have been encouraging the government to recognise DH and waste heat as a real way to meet national and EU climate and energy targets. The Department of Communications, Climate Action and Environment recently issued a call for applications for a Climate Action Fund of €500 million, and subject to certain eligibility criteria, now includes DH schemes as viable projects for funding. This is the first time DH has been included in any government support schemes, and is a positive step forward to support pilot projects in Ireland, but more needs to be done. There are regulations currently in place that are prohibitive for DH schemes, as waste heat is not recognised as a solution to reduce carbon, and current policy focuses on renewable energy rather than lowest carbon energy. DH, and many other low-carbon energy solutions, have only been able to grow and take a foothold in markets where there are effective carbon taxes, meaning low-carbon solutions are competitive and economically attractive. It is very difficult for DH to compete with the low costs of fossil-based heating fuels such as gas, especially when the upfront investment cost of DH infrastructure is taken into account. While the Climate Action Fund represents a step in the right direction for DH development, the failure of the government to increase the carbon tax in the Budget is disappointing. IrDEA will continue to lobby the government for carbon taxes and other policies that will support the development of the DH market in Ireland.